A fireball was spotted along the east coast Sunday night, including parts of Delaware, New Jersey and Pennsylvania. A fireball is a very bright meteor, generally brighter than magnitude -4, about the same magnitude of the planet venus, according to the American Meteor Society. Officials with the AMS say they received over 200 reports of a bright fireball in the eastern part of the country around 10:55 p.m. Sunday. 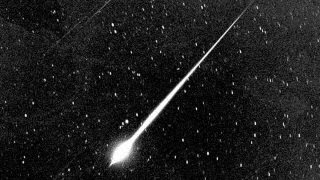 “There are no major meteor showers active at this time so this meteor was most likely a random occurrence, not associated with any known meteor showers,” said Robert Lunsford, a writer with the AMS. Lunsford says the northern hemisphere is currently in a period of elevated meteor activity from now through January 2015. Officials are encouraging anyone who spotted the fireball to report it to the AMS. You can learn more about fireballs and meteors in general by visiting the AMS website.